Today I was Watching a Video and It turns out that you can play the classic game Snake(especially popular on cell phones back in the day) at Google-owned YouTube by holding the left and up arrow keys on your keyboard while a video is playing or paused.Once the game starts, you can direct a transparent snake around the video player with the arrow keys to gobble up dots that cause the snake to grow. Hitting the edge of the player or any part of your snake’s body will end the game.YouTube provides streaming video. You can find variety of video based on your interests. Usually we wait for the video to load on the YouTube. But have you ever thought that you can do something innovative while waiting for your favorite video to stream? YouTube videos comes with hidden snake game. Snake game is one of the most basic and simple game that is available in almost all cell phones All you have to do is eat your food without touching the tail of the snake. 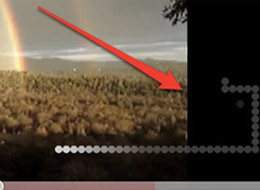 Screenshot shows hidden snake game embedded in all YouTube videos (Google rocks). You can play snake game in almost any video played on YouTube (personally, I was able to play game in few videos only). # Open any YouTube video. Let us take this as an example. # When streaming starts. Hold left button of mouse + Left arrow on keyboard + Top arrow on keyboard. # Once the game starts you can change the direction from keyboard arrow. # Check out the screenshot of Snake game. Kindly try the video with dark background as it will be visible to you.